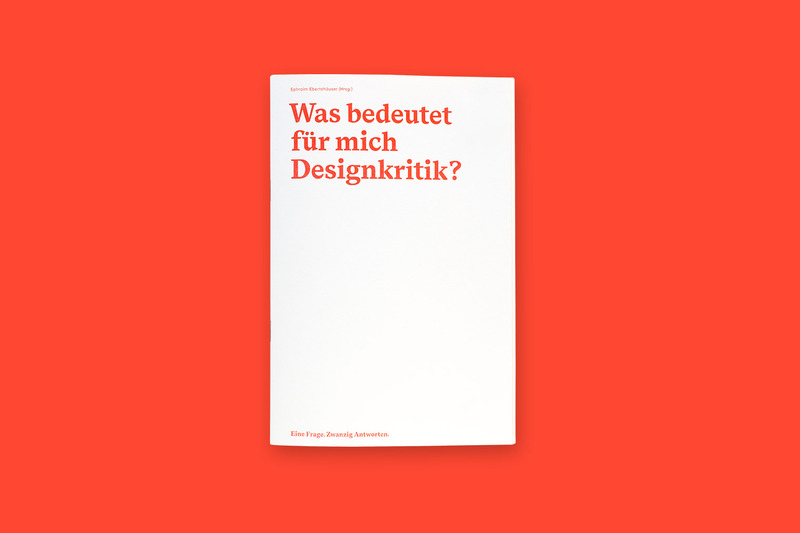 The publication Was bedeutet für mich Designkritik? 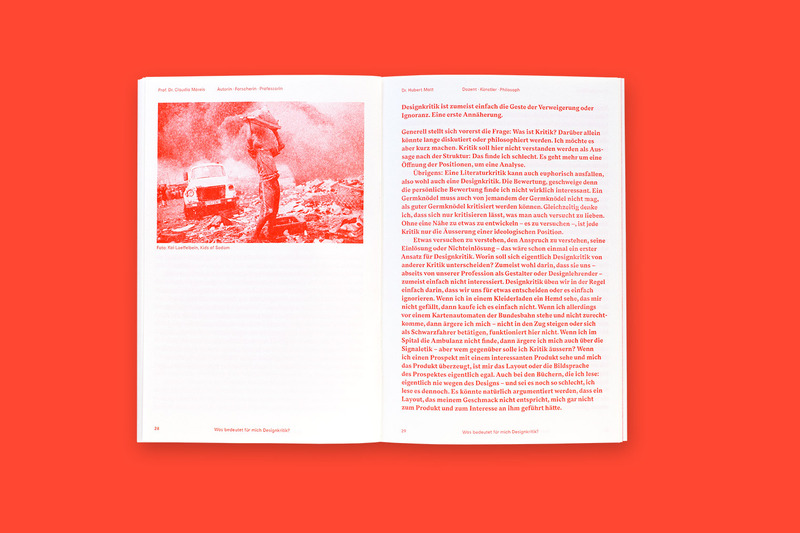 (What does design criticism mean to me?) Is dedicated to a subject that is currently given little attention. Neither the public nor their own discipline deals with criticism in depth—unlike, for example, art, literature, music, etc. In order to counteract this, people who work in design in various functions have asked a question: What does design criticism mean to you? 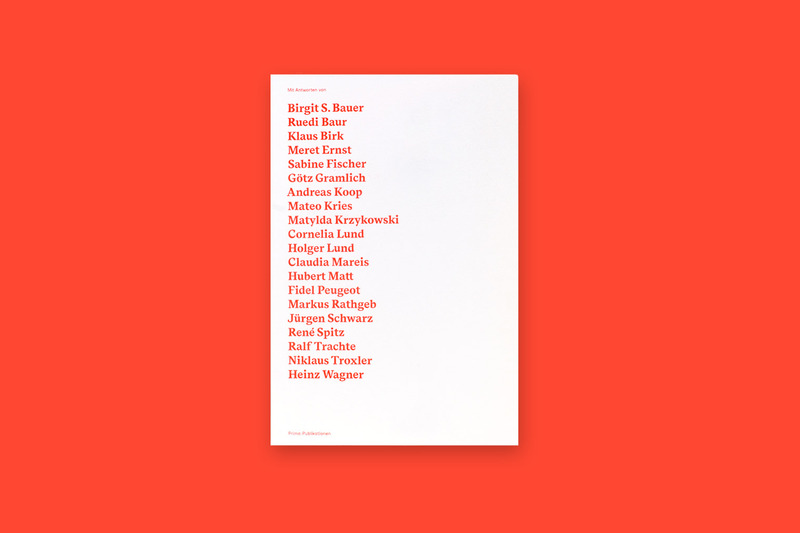 Twenty personal answers show how relevant the critical discourse is with and for design. 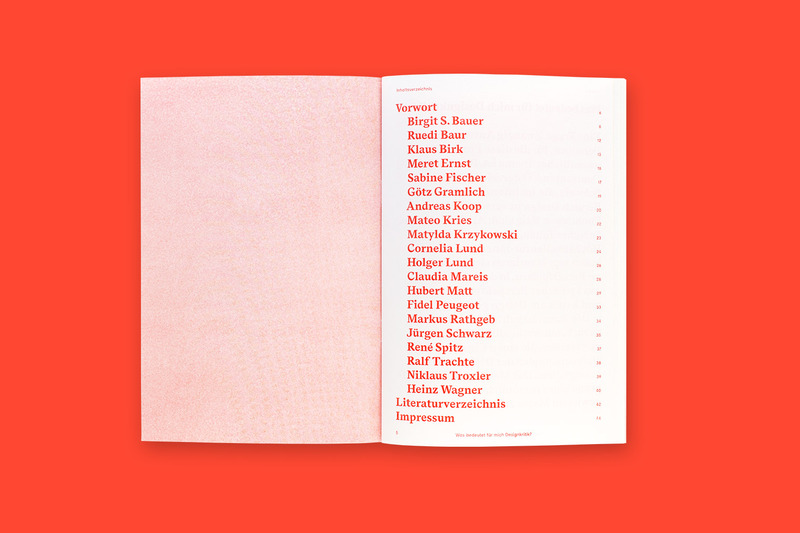 Contributions by: Birgit S. Bauer, Ruedi Baur, Klaus Birk, Meret Ernst, Sabine Fischer, Götz Gramlich, Andreas Koop, Mateo Kries, Matylda Krzykowski, Cornelia Lund, Holger Lund, Claudia Mareis, Hubert Matt, Fidel Peugeot, Markus Rathgeb, Jürgen Schwarz, René Spitz, Ralf Tracht, Niklaus Troxler, Heinz Wagner.